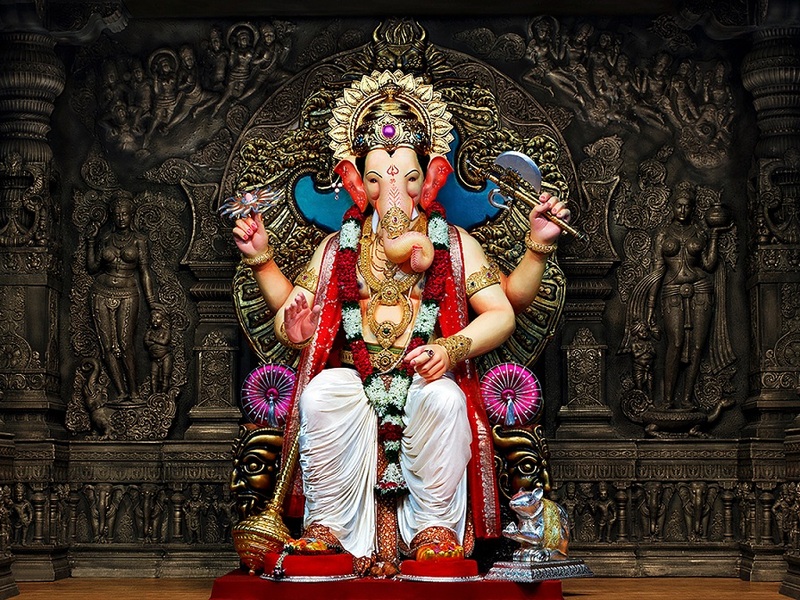 Home God Ganesh Do You Know Why Ganesha Is Worshipped First? Ganesha also known as Vighnahartha, the obstacle remover, is the most revered of Hindu gods. As a master of Riddhi (prosperity) and Siddhi (spiritual power), he is remembered and offered prayers to prior any other prayers, special ceremonies/occasions. The metaphysical knowledge says that Omkar is the basic reason for this whole creation. It is the first manifested appearance of that unmanifested Brahma. 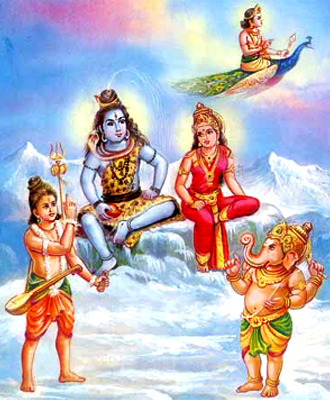 According to Upanishads, sky was the first to appear from Brahma. Being the purest form of matter, the sky symbolizes Omkar. Sense of sky is nothing but sound. All the other things in universe appeared later from the sound. Thus in the beginning of this process, there was nothing but sound. Resonating sound is thus the primitive constituent of universe. This universal form of resonance when meets the ear, it is heard as Omkar. 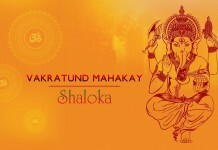 Shri Ganpatya Atharvasheersh says that Ganapati is the manifested appearance of Omkar. Such as recitation of Omkar is a must in the beginning of all the auspicious occasions and installation of idols. 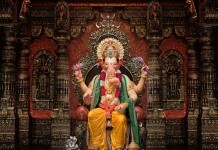 Similarly, worship of Lord Ganesh is essential in the beginning of every auspicious occasion. The lord’s appearance has an underlying significance. His head symbolizes the soul whereas his human body signifies ‘maya’ which is associated with the earthly existence of humankind. The elephant head is the symbol of wisdom and the trunk is regarded as Om, the sound that is denoted as the denotation of this cosmic reality. 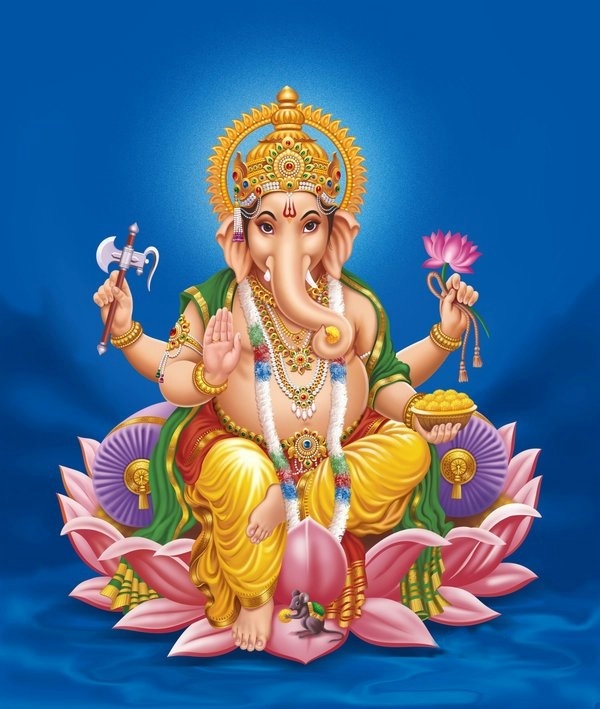 The four arms of Lord Ganesha also have an underlying meaning where the upper right hand holds a goad used for blessing mankind on the right path. The noose on the left hand is a way to capture all obstacles away from the devotees. The broken tusk in the lower right hand is the sacrifice he made to write Mahabharata as a scribe and the rosary of the other hand is the symbol of knowledge. The large ears of the Lord are always open to head the devotees and the ladoo in the trunk denotes the satisfaction one gets from being one with the soul. There is a snake which covers the waist of Lord Ganesha and represents all the energies in the universe. The mushaka ‘mouse’ is the selected creature as the deity’s vahana and denotes how humble he is to ride a small creature. One of his popular forms, Heramba Ganapathi, has five elephant heads. According to Kundalini Yoga, Ganesha resides in the first chakra, called Muladhara. Mula means”original, main” adhara means “base, foundation” The muladhara chakra is the principle on which the manifestation or outward expansion of primordial Divine Force rests. This association is also attested to in the Ganapati Atharvashirsa.